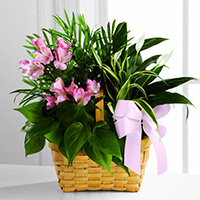 Robert Kersavage View Flowers - Bellefonte, Pennsylvania | Wetzler Funeral Home, Inc.
Card Message: Brian, we're thinking of you and your family. Your Dad demonstrated such strength in this journey. May you find comfort knowing he's at peace, and one powerful spirit with you.